The drug Biltricid belongs to the group of anthelmintic drugs and is used in medicine as a treatment and prevention of worms in adults and children. Biltricid comes in the form of tablets, which are intended for oral administration. Each tablet is covered with a special film coating. The main active ingredient of the drug is praziquantel. Each tablet contains 600 mg of active ingredient and auxiliary components. The drug is packaged in bottles of brown glass of 6 pieces. According to the instructions, this drug has a pronounced anthelmintic property. The main active ingredient of the drug stimulates an increase in the permeability of the cell membranes of parasites for calcium ions. Due to this, the generalized contractile abilities of the musculature of the body of the worms and the slowing down of the glucose assimilation by parasites are stimulated. Thanks to drug therapy in the body, the production and release of lactic acid is stimulated, which has a detrimental effect on the worms, causing their death. The main active ingredient of the tablets shows a high therapeutic activity in relation to the class of cestodes and nematodes. Pulmonary flukes - paragonimus westermany. Severe damage to the liver. The drug is given with special care to patients with cardiac arrhythmias, liver failure in the stage of decompensation. Biltritsid drug must be taken orally during a meal or before meals. The pill must be swallowed immediately, without chewing or crushing, drinking plenty of liquid. The dosage of the drug prescribed by the doctor, depending on the performance of tests and the severity of helminthiasis. For prophylactic purposes, with the probability of helminth infection, it is enough for the patient to take 1 tablet 1 time per day before going to bed for 3 days. Adults for therapeutic purposes in most cases, appoint 1 tablet every 4 hours during the first 3 days, then the daily dose of the drug is reduced. As a rule, the dosage for each type of pathogen is determined individually and the dose specified by the doctor cannot be reduced or increased independently. The drug is not recommended to take without a doctor's instructions, as this can lead to complications and side effects. In addition, the patient can not know what kind of worms caused the disease, and the use of this particular drug may not be effective and useless. In medicine, there are no cases of teratogenic effects of the main active ingredient of the drug on the fetus. Despite this, the use of Biltricid tablets in the first trimester of pregnancy is strictly contraindicated. The use of this drug in the second and third trimesters of pregnancy is also not recommended, but it is possible if the expected benefit for the expectant mother outweighs the potential risk to the fetal development of the fetus. The use of the drug during breastfeeding is possible, but for this, the woman will have to stop giving the baby her milk for several days, replacing it with an adapted milk formula, continuing to decant. 3 days after the end of therapy, the woman can restore the lactation process. Such precautions are due to the fact that the active ingredient of the drug can easily penetrate into breast milk, and in medicine there is no reliable data on the safety of Biltricid on the body of an infant. This drug is not prescribed for the treatment of children under 4 years of age. 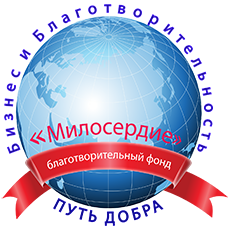 After 4 years, the dosage of the drug is chosen by the doctor strictly for each individual patient, which depends on the indicators of the tests, the body weight of the child and the characteristics of his body. The development of such side effects in most cases occurs as a result of a significant excess dose of the drug. When these symptoms appear, the patient should consult a doctor. The simultaneous use of the drug with dexamethasone or anticonvulsant drugs can lead to a decrease in the therapeutic effect of anthelmintic tablets. The simultaneous use of the drug with its analogues significantly increases the risk of the above side effects and overdose. This drug is dispensed in pharmacies by prescription. The shelf life of the drug is 5 years from the date of its production, after this period the drug can not be used inside. Tablets should be stored out of reach of children at a temperature not higher than 25 degrees. Anagov on the active substance does not currently exist. 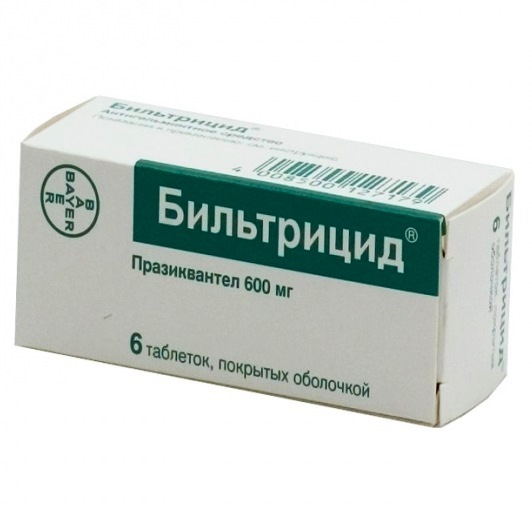 Biltricid 600mg tablets - from 370 to 459 rubles.